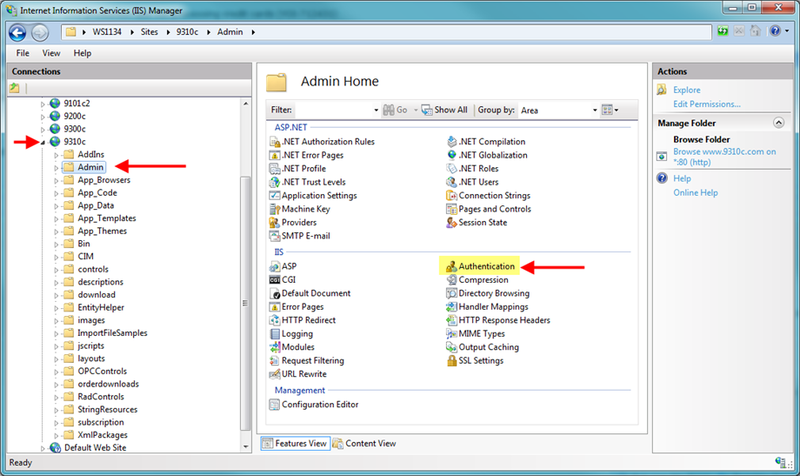 IIS 7 providers administrators with the option of choose three settings for authenticating users. 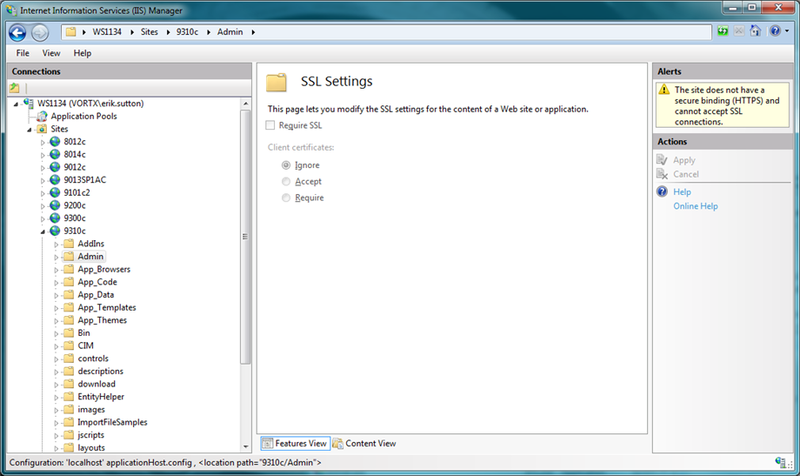 Windows Authentication in IIS 7 is the most secure option, as it uses hashing technology to prevent sending clear text usernames and passwords over the internet. 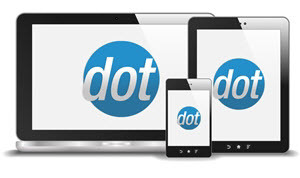 Many web browsers do not support this however, so if your admin site is accessed by clients using browsers other than Microsoft Internet Explorer, Basic Authentication should be used instead. 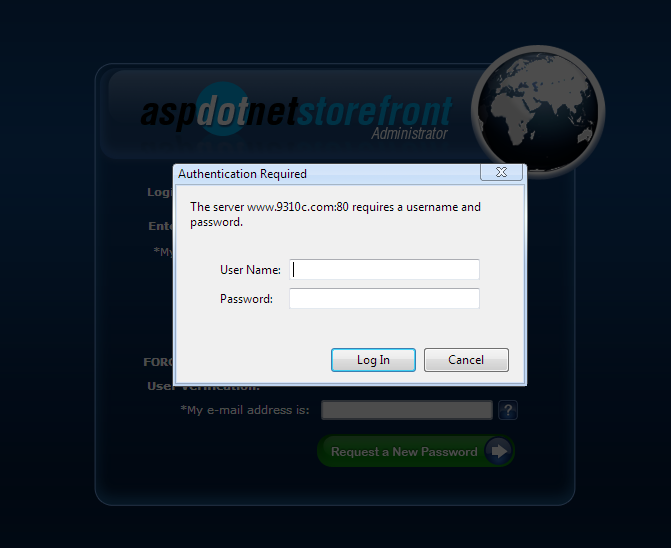 NOTE: You can potentially enable both authentication mechanisms on the site. 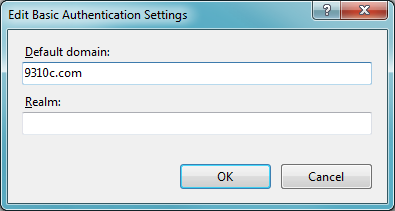 If both Basic and Windows Authentication are enabled, IIS will first try to use Windows Authentication, and then attempt Basic if that fails. NOTE: If using Basic Authentication, you will receive a warning stating that "...credentials will be sent in clear text over the wire". This warning does not apply to valid SSL connections. 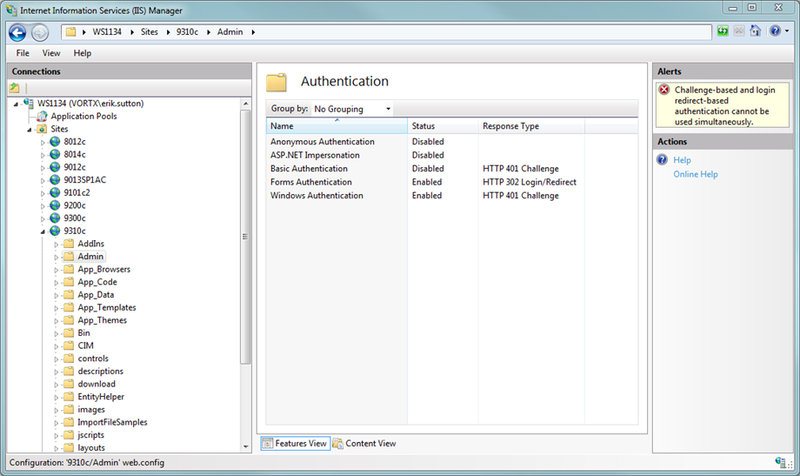 NOTE: With Windows Authentication you will get an Alert stating that "Challenge-based and login redirect-based authentication cannot be used simultaneously." but it can be ignored for sites using CLASSIC managed pipeline mode in the app pool. For sites using Integrated mode, THIS ARTICLE may be useful (a knowledgeable developer will be required). 3. 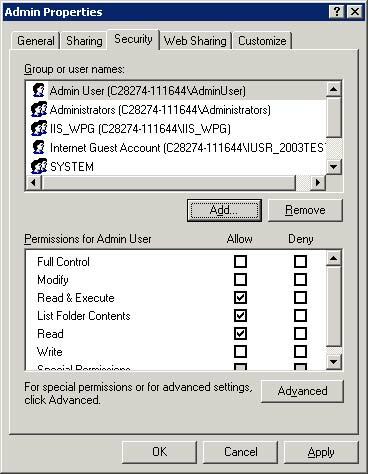 Enter your Windows user account username and password and click OK.